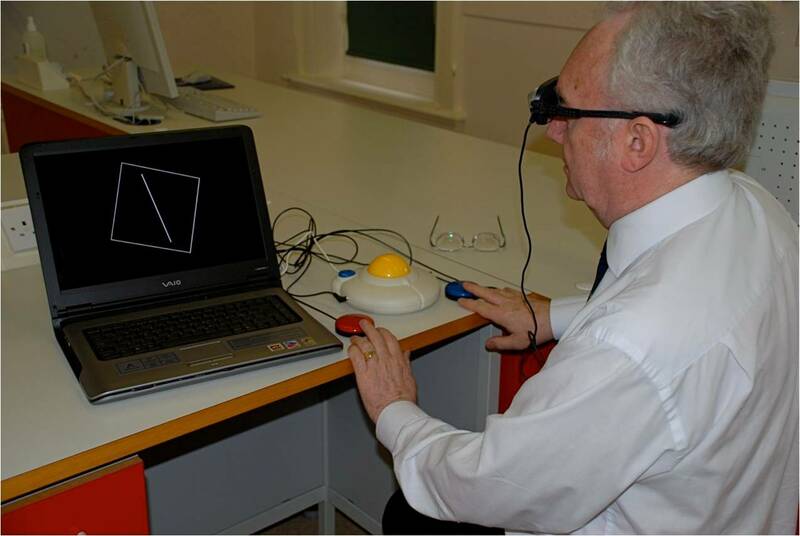 “Assessing agreement between kinaesthesis, visual perception and body imagery” is a collaborative study bringing together expertise from BU and AECC. The project aims to assess whether there are differences in perception and body image between those with chronic low back pain and controls. To do this we are using a variety of measures (outlined below) and it is hoped that the insight we gain from a group of people with chronic pain we can expand the techniques to other populations where body image may become distorted. These include for example those with complex regional pain syndrome, or following an amputation and for those with eating disorders. The project is being conducted by Dr. Carol Clark, Gill Glasgow (BU) and Dr. Neil Osborne (AECC) along with Dr. Sharon Docherty (AECC) in the AECC Experimental Research Facility. Professors Ahmed Khattab (BU) and Jeff Bagust (AECC & BU) are also involved. 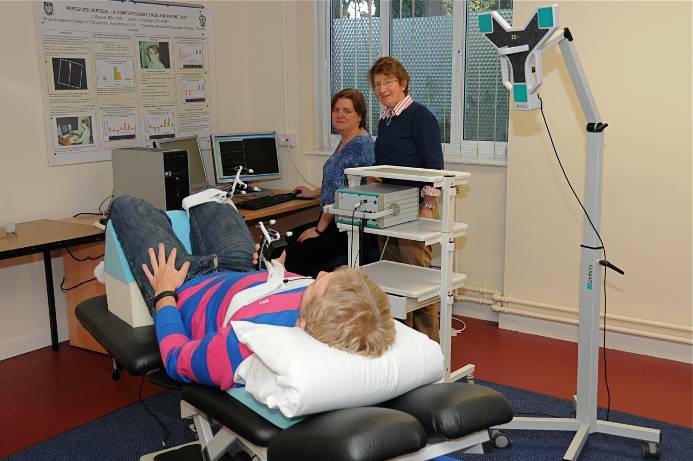 Lumbar spine kinaesthesis is assessed by using an ultrasound motion analysis system to measure how accurately the subject can reposition their lower body on a motorised bench. CRAFT assesses an individual’s perception of vertical using a specialist computerised software system. The test has been employed in studies investigating the perception of vertical in those with acute and chronic neck pain. The aim of this test is to assess the activation of cortical networks in relation to body laterality with minimal limb movement. This test employs simple computerised software and has been employed in studies to assess and treat body imagery impairments in those with pain. The ABCD aims to assess cognitive distortions related to body image perception. – To establish contact with researchers at the University of South Australia and Imperial College London. – To establish interprofessional collaborative working between CC, GG, NO, SD, AK and JB. – To enable closer collaboration between BU and one of its partner organisations AECC. Anyone wishing to take part in the study, please contact Dr Sharon Docherty (SDocherty@aecc.ac.uk) for more details.